These constant assaults require that foresters and arborists, society’s civic tree stewards, take a detailed inventory and analysis of trees to better manage urban trees and ensure that they thrive and survive. That’s what arborists are doing today in Washington, DC. 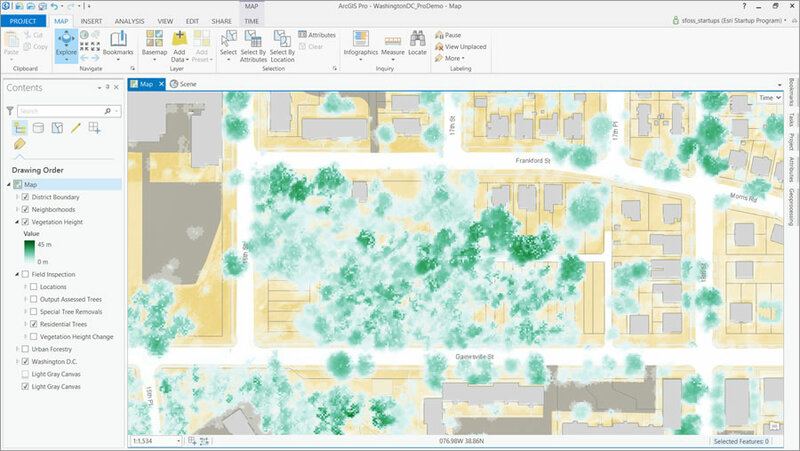 By using GIS to improve its inventorying and spatial analysis methods, the Urban Forestry Administration(UFA) at the District Department of Transportation (DDOT) in Washington, DC, better protects its urban forests and enforces tree-removal penalties more accurately. 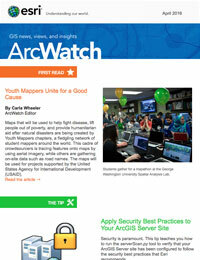 The organization uses Esri software such as ArcGIS Online, Collector for ArcGIS, and ArcGIS Pro in this effort. From 2006 to 2013, UFA used a typical personal digital assistant (PDA)-based field collection method to gather data about trees in Washington, DC. A team of 18 arborists inventoried the district’s trees using handheld PDA devices. Back at the office, information from those units had to be uploaded and manually merged into the street tree database, inviting error creep. 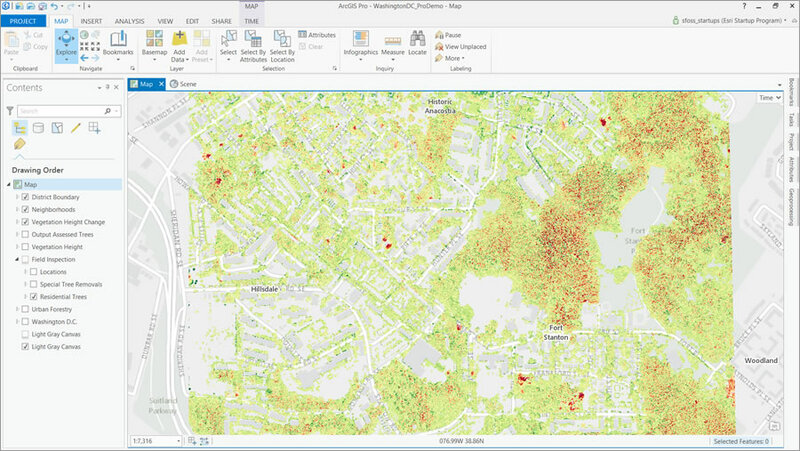 In 2014, UFA started to monitor the condition of DC’s urban forest in real time, using the Esri ArcGIS platform. The arborists in the field can gather information about trees (e.g., damaged limbs or signs of disease) on smartphones and tablets using the Collector for ArcGIS mobile app connected to ArcGIS Online. The data that’s collected is then added, in real time, to a map in ArcGIS Online. This system helps arborists manage street trees planted by the city and regulate the removal of privately owned trees. “By comparing and sharing data with ArcGIS, our team was able to more effectively discover these types of problems,” Eutsler said. UFA also needs to know the location and dimensions of illegally removed trees in order to issue fines that are fair and equitable to residents. 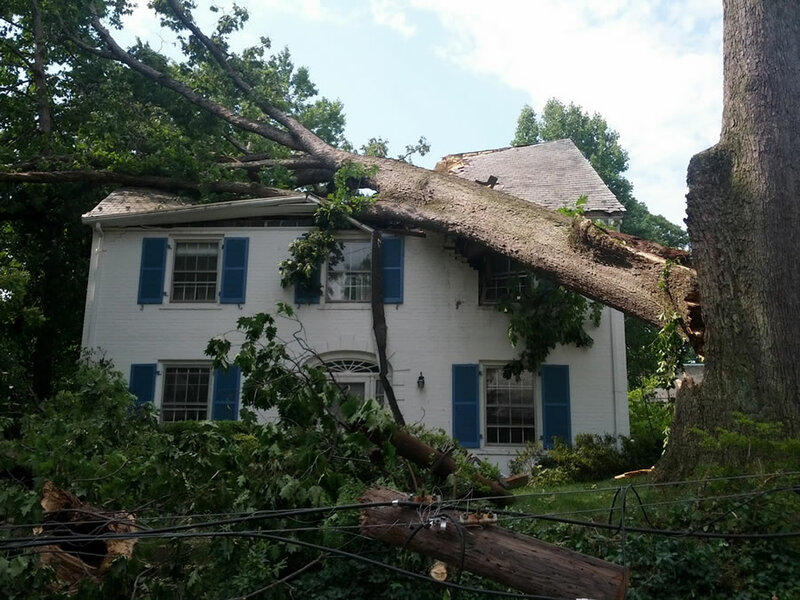 Although DC’s tree protection laws require a permit to remove mature trees, that doesn’t stop some property owners from revving up their chainsaws without filling out the proper paper work. Take the case of a cluster of newly cut stumps that an arborist discovered one day in a southeast Washington, DC, neighborhood. “A quick check of the web map revealed the property owner hadn’t applied for any tree permits,” Eutsler said. Not knowing the size of the trees removed, UFA couldn’t properly assess fines on the property owner, since penalties are based on each felled tree’s actual size. To discover the size of the removed trees, UFA used lasers and ArcGIS. UFA uses Cityworks, a map-based asset management system, with the Esri ArcGIS platform. Cityworks accesses maps and layers from ArcGIS Online and allows UFA staff to select the data capture method best suited to their specific jobs. Consuming the same geospatial services in all the administration’s mapping applications, arborists can immediately make modifications to the city’s tree asset data. As those changes automatically merge into a common map, users can view fresh street tree inventory data on any device and perform tasks accordingly. 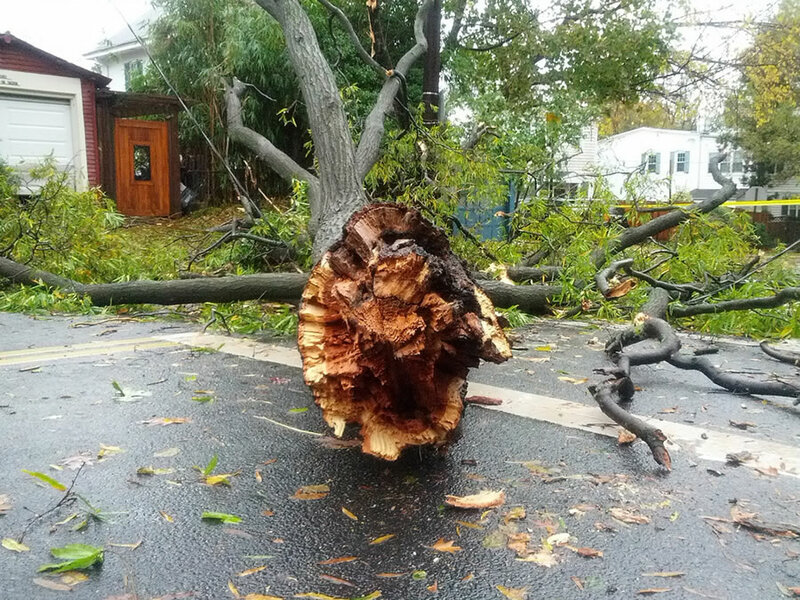 Working in a real-time environment has improved UFA’s response times, even during severe storms, when fallen branches and toppled trees must be promptly removed. 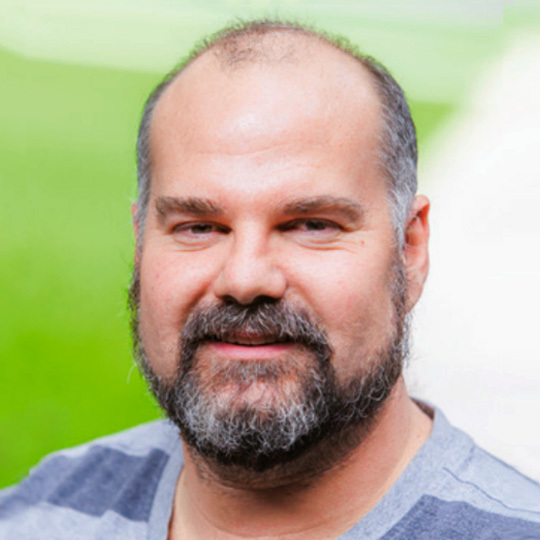 “Since the beetles that spread the disease can quickly fly from tree to tree, understanding where healthy elms neighbor a diseased one allows us to proactively treat trees to prevent transmission of the killer fungus,” Eutsler said. The Esri ArcGIS platform speeds UFA’s workflows, according to Eutsler. “We measure success based on doing more in less time,” he said. UFA won a Special Achievement in GIS Award from Esri in 2015, and Eutsler spoke at the Esri User Conference Plenary Session about UFA’s use of ArcGIS. Watch the video. See UFA’s collection of ArcGIS Online web maps. Read more about the fascinating history of Washington, DC, street trees in this Story Map Journal.